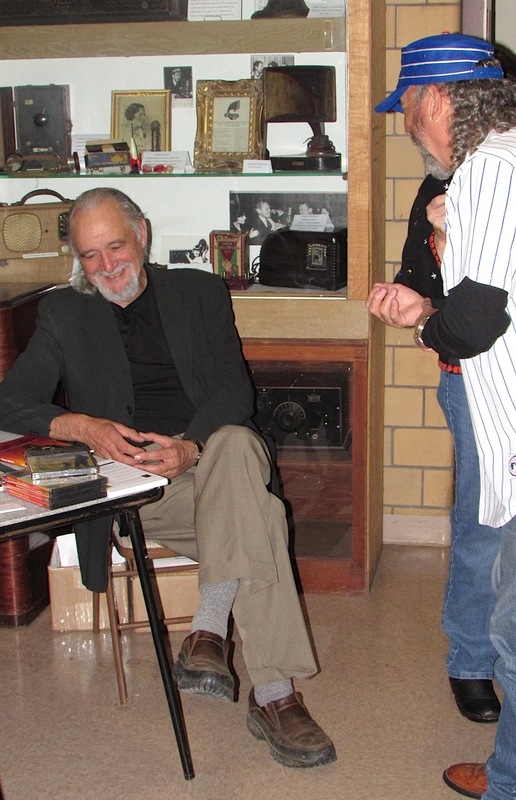 Emmy award-winning storyteller Jim May regaled about 70 guests with ghost stories from around McHenry County and around the world on Oct. 14. A professional storyteller for nearly 30 years, Jim shared an old Cherokee story about an evil witch, an Irish tale about the dead come to life and a story about a malevolent goose on his family's farm off Tryon Grove Road in Richmond which he "killed" by accident as a boy ... or thought he had! The stories were proceeded by a walk through the haunted barn area and followed by treats in the West Harmony School. Happy Halloween one and all!